Otto Street is a small little street in the First Ward of Buffalo. 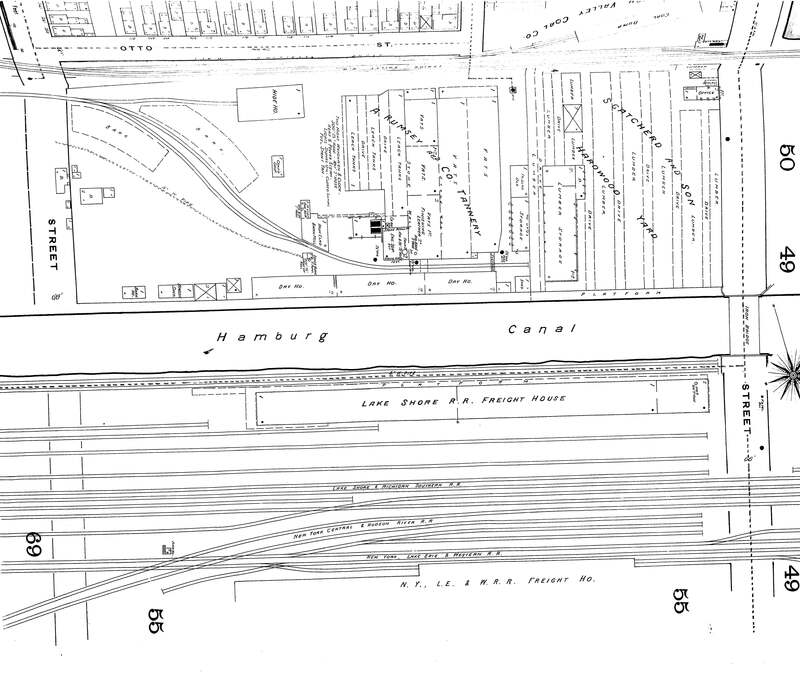 The street has had a front row to the changing transportation of Buffalo – in the 1880s, the north side of the street was a tannery and then the Hamburg Canal. 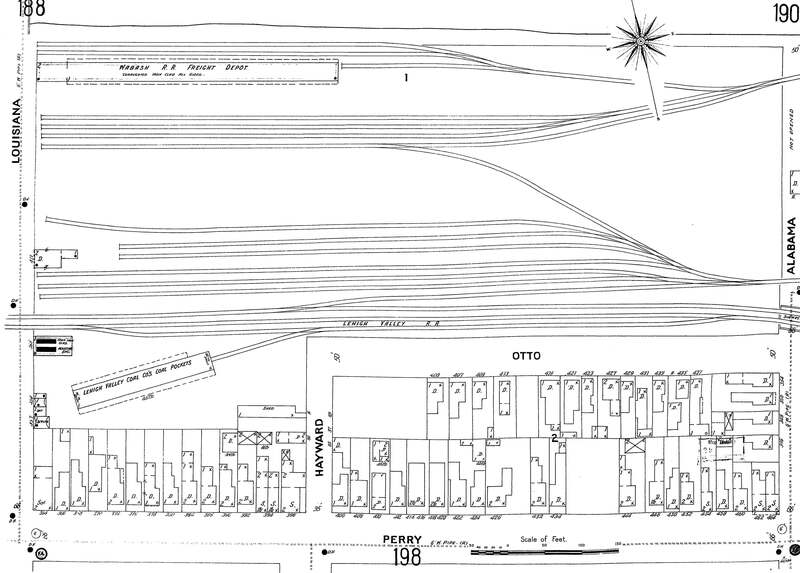 It then became the Lehigh Valley Rail Yard throughout the early 1900s. 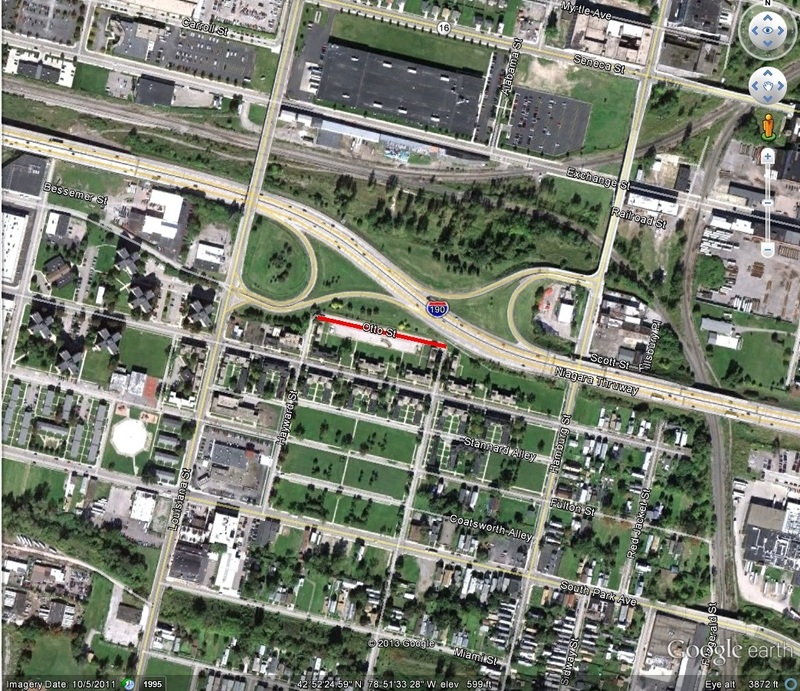 And since the 1950s, the street has run along the southern side of the I-190. Otto Street is named for Jacob S. Otto. Mr. Otto took over for Joseph Ellicott following his retirement from the Holland Land Company. For more on Joseph Ellicott, check out Part 1, Part 2 and Part 3. Mr. Otto was born in Swedesboro, New Jersey in 1778. He graduated from Princeton in 1797 and practiced law in Philadelphia. In 1821, he joined the Holland Land Company. When he took over the Holland Land Company, things were difficult. Many of debtors purchased land during the boom of 1816-1817. A panic occurred in 1817, prices had fallen, and the company was owed more than $1,000,000 (approximately 13 million in today’s dollars!). When Joseph Ellicott resigned, the Holland Land Company did not side with the local suggestions for his replacement and selected Mr. Otto, who was working in Philadelphia as a capable businessman. Mr. Otto revived the Holland Land Company’s acceptance of produce in payment of interest. This helped to calm some of the troubles throughout the Holland Land Purchase. While Mr. Otto never lived in Buffalo, he was well known here. He was important in the development of Allegany and Cattaraugus Counties. He also opened up the Ellicott tract for development by laying out North Division from Main to Washington in 1827. North Division was extended to Jefferson in 1831. Mr. Otto tightened the requirements for settlers to pay off their debt. He brought suit against many of the debtors. The settlers reacted to this by starting protest meetings in Lockport in January 1827 and in Buffalo in February 1827. A petition was sent to Albany, where a bill to tax land of non-residents passed in the fall. The collection reports of the company for 1826 showed that of the six million debt, less than one-fiftieth had been collected. This changed the policies of the Holland Land Company. Mr. Otto died in 1827 when he contracted pneumonia after officiating the opening of the Erie Canal. He is buried in Batavia. Mr. Otto’s son, John Otto, came to Buffalo from Philadelphia after his father’s death and worked at Pascal Pratt’s Hardware Store. In 1858, John Otto formed his own real estate firm, John Otto and Sons. The Towns of Otto and East Otto are named for Jacob Otto. During the waning days of the Holland Land Company’s prominence in Western New York, David Ellicott Evans took over as land agent following Mr. Otto’s death. The Town of Evans, New York is named after Mr. Evans, who was Joseph Ellicott’s nephew. Lewis Ellicott Evans, David’s brother, lived in a house in Williamsville which was known as the “Evans House”. The Evans House was built on Main Street, east of Ellicott Creek, and was believed to have been the oldest house in Erie County. The House was demolished in 1955. Evans Street continues the Evans family legacy in Williamsville.